Some interfaces leverage head movement to browse options. 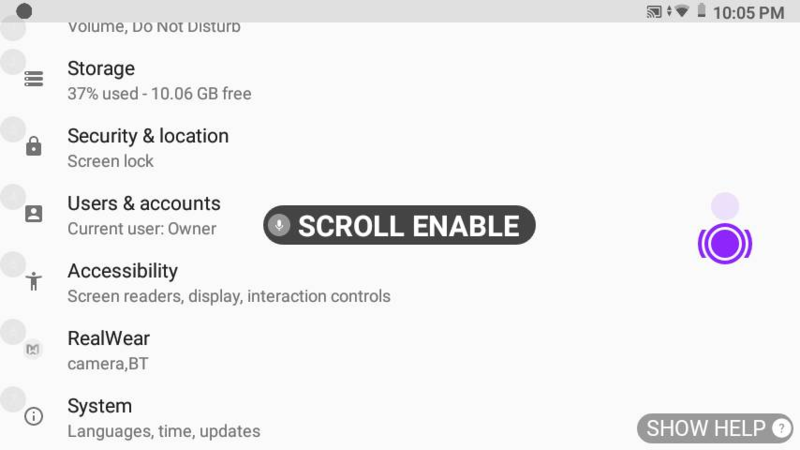 From screens with a scroll view, you can say the command “SCROLL ENABLE”. 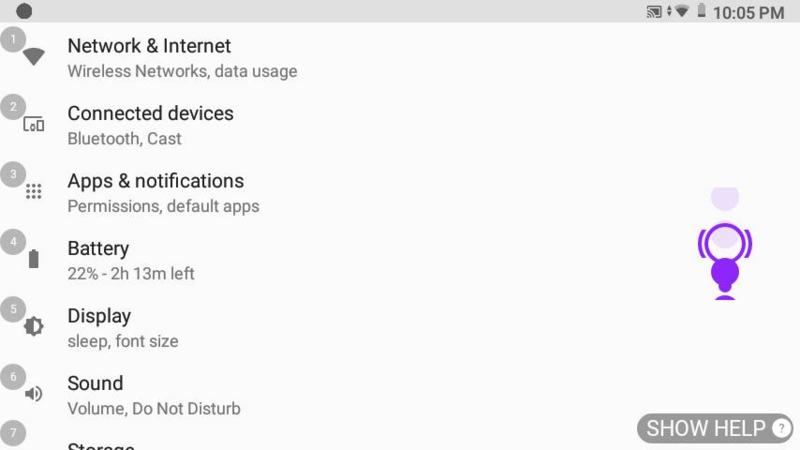 This will enable vertical head scrolling on list user interfaces such as the settings menu and will take the place of the page up and page down commands. To use, look downward and the screen will scroll down one page at a time. To stop scrolling, bring your head back up to a level position, so that you are looking straight ahead. When you want to stop using this gesture and return to page up/down commands, say “SCROLL DISABLE”. This is extremely useful for quick scrolling to the bottom of a list; when the bottom is reached, quickly say “SCROLL DISABLE”.